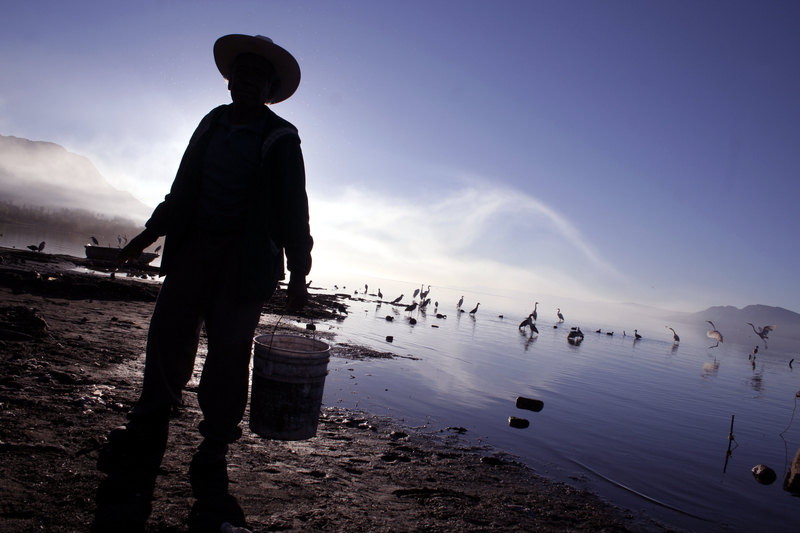 Concerned by the sewage and chemical waste that is slowly killing Lake Chapala, Mexican-American photographer Victor Hugo Casillas Romo is using his artistic talent to draw attention to its plight. 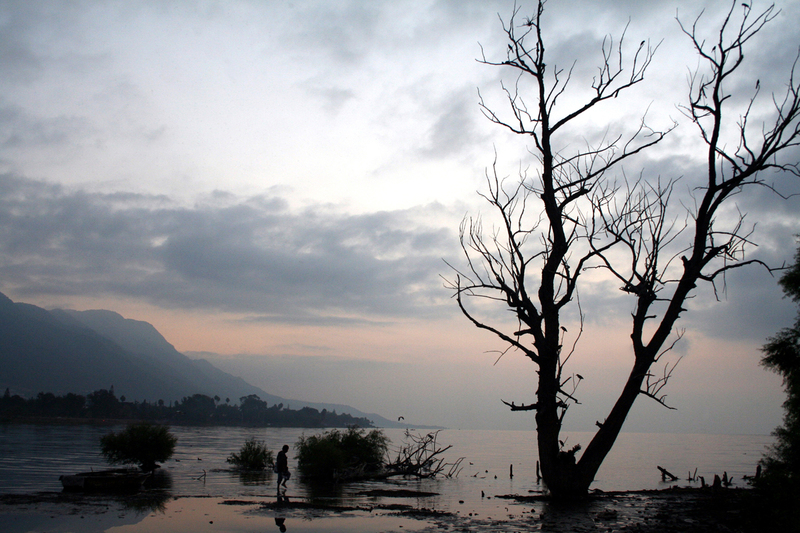 Having won a number of international prizes for his photographs of the lake, Casillas is now planning an ambitious project to not only document its beauty, but also raise awareness of the pollution endangering Chapala. Born in California, Casillas grew up in the United States and Mexico, an experience which led him to embrace the “Chicano” identity, before eventually settling for good in Guadalajara. Now 51, he has worked as a photographer for 25 years. Addicted to artistic expression, as a child and later a student, he loved drawing, painting, ceramics and graphic design. Casillas’ photography has been displayed in almost 100 exhibitions, of which around 70 have been in Guadalajara, about 20 elsewhere in Mexico, and the remainder abroad, as far afield as London, Buenos Aires and Spain. Casillas has also won around 30 prizes at local, national and worldwide levels. Last year he was named “Citizen of the Year” by the Zapopan city council for his extensive work focused on the identity of Zapopan. In the past few months he has also won prizes in Monterrey and the Spanish city of Andalucia. Casillas currently teaches communication in the Instituto de Ciencias, having also given classes in film, theatre, photography and television reception at the University of Guadalajara and ITESO. Casillias sees himself as an artist, but also a proponent of civil rights and social movements. He is moved by images of Mexican culture or human suffering, but also enjoys capturing landscapes, rivers, lakes and the ocean. “There’s something magical about bodies of water,” says Casillas, who, having grown up beside the ocean in California, now considers Chapala a calming place of refuge. 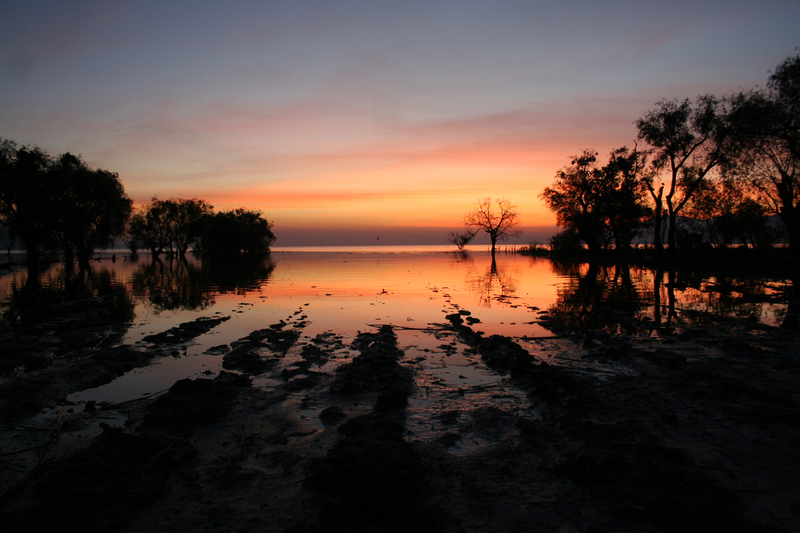 He especially enjoys taking photographs of the lake at sunrise and sunset, noting the orange, red, violet and purple shades reflected on the surface. Last November one of Casillas’ Chapala shots earned him third place in a competition run by the Adaptation Fund, which was established by adherents to the Kyoto Protocol with the aim of combating and drawing attention to climate change. He has also won two of four seasonal prizes in a competition run by the Wildfowl and Wetland Trust (WWT), a nonprofit conservationist organization in Great Britain. While the majority of entrants are British, there is one international category, which Casillas has dominated with his photographs of Chapala in the winter and spring. There is still one seasonal winner to be announced, with the overall winner awarded a trip to New York and the Niagra Falls. Should Casillas win that he would then compete with the British winners from every other category for the grand prize of an expedition to the Antarctic. “I’m not sure if it’s a prize or a punishment,” he jokes. Aside from entering competitions, Casillas is looking for sponsors to help him realize an ambitious personal project in aid of Lake Chapala. Pollution affects not only the water quality, Casillas says, but also the trees that surround the lake, the fish that swim in it and the birds and fishermen that live off them – not to mention the negative effect it has on local tourism. “I want to hold an exhibition in each of the ten municipalities around Chapala, showing how beautiful the lake is, but also demonstrating the problems,” Casillas says. On this tour, he would produce both artistic photographic work, highlighting local flaura and fauna, as well as an investigative documentary, with environmentalists invited to hold conferences on how to solve the lake’s problems.